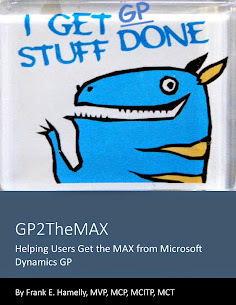 GP2TheMAX - Helping users get the 'MAX' from Dynamics GP: Dynamics GP Tools that you may not know about . . . 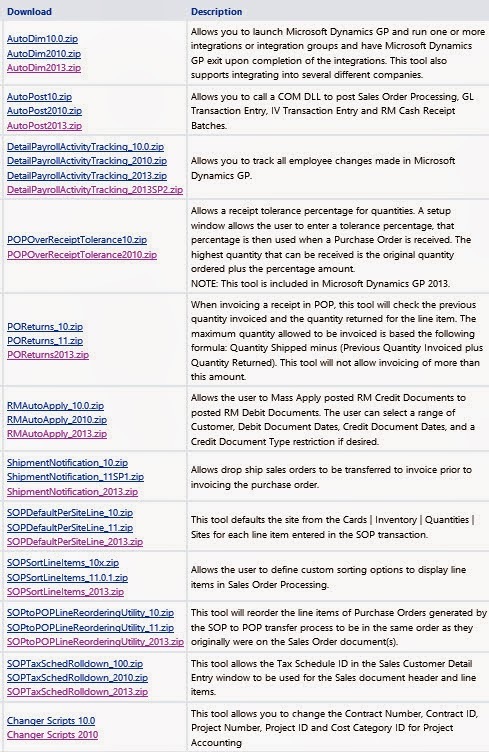 Here's a list of tools available from your Microsoft Partner that are not a standard part of the Professional Services Tools Library toolset, along with the GP versions that they apply to. Most, if not all, of these are installed by dropping a file into the GP folder on your application server and restarting GP. Talk to your partner for more information.